Marks and Spencer has something to offer for everyone with their commitment to delivering excellent standards every day. M&S Graduate Schemes come in a wide range of courses – something to suit everyone. Each offers an insight into the working of the company and new challenges to develop you into a vital asset to the company. The most popular scheme is the Retail Management programme with the end-goal of being a Commercial Manager in one of the M&S stores. This programme has two start dates throughout the year – in April and September although the selection process for all courses closes in December so make sure you check their website regularly for updates. 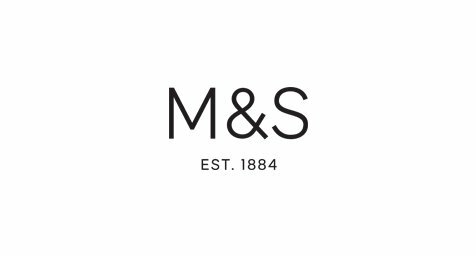 The majority of M&S Graduate programmes are one year courses where you can expect to complete a number of placements, starting in-store, to get a better understanding of the company from bottom up. There will also be ‘Attachments’ where you shadow existing managers, workshops, personal workbooks to complete and practical learning. Starting salaries for M&S Graduates range from £23,500 – 28,000 depending on the scheme and location. In addition to this you can also expect good holiday allowance, staff discounts up to 40% off, pensions, assistance in relocating and a range of other retail discounts. You will need to have a 2:1 degree. Almost any subject will be considered for the Retail Management course, but if you are seeking a position on one of the other placements then your degree should be in a suitable discipline. M&S is changing. Whether you want to work at the sharp end of Simply Food Store Management, or in a buzzing Head Office environment, you’ll be exploring brand-new techniques and strategies. Retail is going through a shift. But here at M&S, we’re responding to it in agile fashion. The future needs bigger thinking and fresh talent. Your job is to create better experiences for customers who shop instore and online. Every day, we’re producing eye-catching fashion and innovative food products – like the delicious ‘Used our Loaf’ beer range, made from surplus bread to combat food wastage. We’re full of exciting ideas, but we need more – and you can make a career out of coming up with them. At M&S, we focus relentlessly on delivering top quality products to our customers. That much has never changed. Our attention to detail and passion for improvement has led to the creation of some of the nation’s most loved products. But the world is changing fast, and we’re changing with it. M&S is transforming to become more relevant, more often, to our existing customers, and appeal to new ones too. We’re setting bolder goals and giving our people the space and resources to achieve them. From placing M&S at the forefront of the digital revolution to deliver for customers – existing and new, there’s never been a more exciting time to join us. Because being part of our journey today quite simply means shaping the future of our business. And if you’re ready to play your part, you’ll be richly rewarded with competitive salaries, bonus schemes and flexible working options. The great thing about Marks and Spencer is that they are quite a vast range of different areas in which you can work. There’s the "behind-the-scenes" and admin work for those who would rather be away from the customers, so to speak, but then there are also management opportunities for those hoping to go into management later on.